As an investor, why would you consider Hard Money Loans instead of a conventional bank loan? Take a look at the reasons why many a real estate investor is using this type of funding. You finally narrow down the property that you want to invest in. You make an offer and it is accepted. Now, time is of the essence and you need to secure financing quickly. You contact your local bank and find out that the time to close a loan is 30 to 60 days at best. Not to mention the loads of paper work that you must produce in order to support the loan. Hard money loans can move quickly, in some cases it can take as little as 3 days to get funded. Another advantage to hard money lenders is that they are not concerned with the borrower’s credit history or income, but rather the equity in the project itself. If you have had a challenged background, bankruptcies, or tax liens which would get you turned down by a conventional lender, you may very well get financing through a hard money lender. If you are a new investor or a seasoned pro, the benefits of hard money loans include the speed to funding, low documentation, and not looking at a borrower’s past credit history. The lender will want to know how the loan will be repaid because they prefer not to get the property back. This finance option provides the borrower with speed of transaction, less paper work, and the ability to do multiple projects. · Delivery of funds and fast approval – An experienced hard money lender can approve your loan in hours and fund your project in as little as 3-5 days. The typical time for banks is 30 to 60 days. · Equity and not credit or income is needed for approval – Regardless of your past credit history, your project funds will be based on 70 to 90% of the equity in your investment property. · Terms are short – These types of loans run shorter than conventional banks. Residential loans can run from 6 months to 1 year while commercial loans can run up to 5 years. · Interest rates are higher – Unlike traditional bank loans, hard money lender’s interest rates run from 7.5% to 15%. This depends on the term, loan to value ratio, and the location of the property. · Paperwork is less than traditional banks– Hard money lenders are funded by private lenders, and the loan is based on the equity of the property. This results in less paperwork than traditional bank loans. · Distressed or below market property financing – These types of loans are in high use for investors looking to fix and flip distressed properties or below market-value investments. While many hard money lenders are reputable, as with any industry, not all companies are created equal. As an investor, you will need to do your homework and research each company that you are thinking about doing business with. 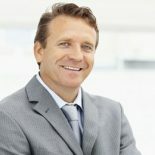 You will want to find a lender who has experience, a good reputation, and is licensed. Take careful notes of those lenders who are honest and upfront about the costs and interest rates. At Level 4 Funding, we work with hundreds of private investors whose reputations are solid. We guarantee the lowest possible rates and often approve loans within 24 hours. Call us for a no-obligation quote. This entry was posted on August 9, 2018 by bigdaddydennis3 in Uncategorized.